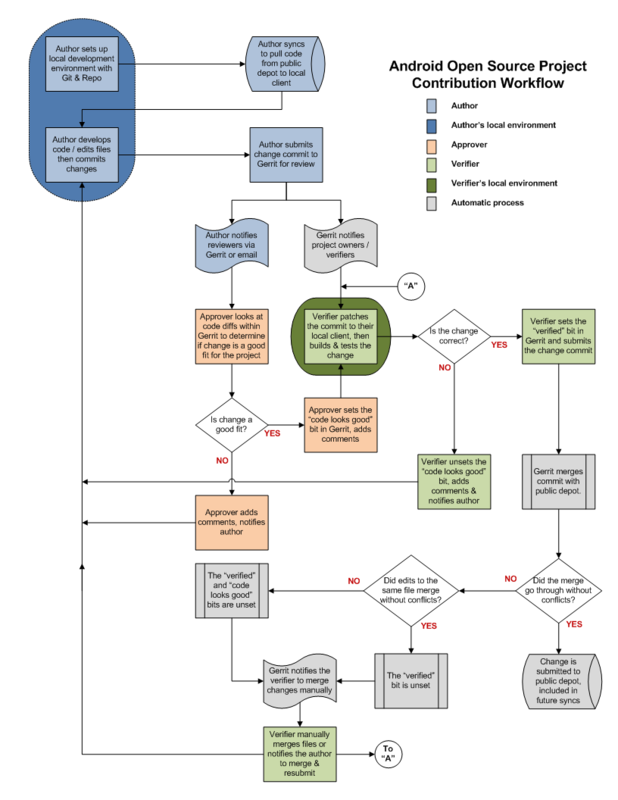 The image below — borrowed from the Android Project — shows the workflow provided by the Gerrit code review server. We’ve adopted this process for WebM. Soon the role of the Verifier in the WebM project will be taken over by a continuous integration server but, until then, we run all changes through manual testing for at least cursory sanity checks. Thanks to the Android Project for this graphic. For our purposes, the WebM Project is in the Android role as depicted below.